This marvelous book, borne of a unique collaboration between Dr Allen Schoen – a world-renowned veterinarian and author – and trainer and competitor of many years, Susan Gordon, introduces the 25 principles of compassionate equitation. These principles, conceived by Schoen and Gordon, are a set of developmental guidelines, encouraging a level of personal awareness that may be enacted not only through the reader’s engagement with horses, but can be extended to all humans and sentient beings he or she encounters. The 25 Principles share stories and outline studies that identify and support methods of training, handling, and caring for horses that constitute a safe, healthy, non-stressful, and pain-free environment. 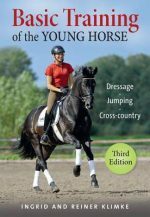 Through their Compassionate Equestrian programme, the authors encourage all involved in the horse industry, worldwide, to approach training and handling with compassion and a willingness to alleviate suffering. These simple changes, that any horse person can make, can have a vast impact on the horse industry and society as a whole.